Immigration programs of Canada provide an easy pathway to apply and obtain Canadian permanent residency through provincial nomination, etc. Through PNPs, different Canadian provinces, invite suitable skilled workers from overseas to apply in the PNP and obtain provincial nomination. The provincial nomination makes it easy for the applicants to obtain permanent residency in Canada. With relatively easy process requirements of PNPs, immigration applicants find it easy to obtain provincial nomination and subsequently Canada PR. Moreover, these programs continuously update the rules and procedures to make it easier for applicants. This year, a few key Canadian provinces have introduced the Expression of Interest (EOI) System for their respective application intakes. Earlier these programs used to accept applications through ‘First Come, First Served’ pattern, however, now the new EOI system has replaced the same. Now the applicants submit their EOI profile first. Express entry system of Canada already has the Expression of Interest (EOI)system in place since its inception in 2015. What is new EOI system? As per the new EOI System, the applicants need to first submit their EOI (Expression of Interest) profile in an online system. A provincial nominee program then reviews the submitted EOI profile and accordingly invite the selected applicants which are found suitable for province’s labour market and economy. This system is contradictory to the old first come ‘First Come, First Served’ pattern, which used to accept the applications from applicants based on the fact, who submitted the same first. Applicants will get enough time to submit the application. Earlier applicants only used to get few hours to submit the application (under first come first served system). Which Canada Immigration Programs have started EOI based system? This year, Saskatchewan Immigrant Nominee Program (SINP) and Quebec Skilled Worker Program (QSWP) has introduced a new EOI based system for their respective immigration programs. Though QSWP is not a provincial nominee program, but it is surely an immigration program that belongs to Quebec Province of Canada. Hence, you will have to follow the new EOI system if you are applying in any of these programs in 2018. If you wish to apply Canada PR this year through new Expression of Interest (EOI) system of a Canada Immigration program, i.e. SINP, QSWP, etc., you may get in touch Visas Avenue immigration expert for complete process assistance from the start of the process till approval of Visa. You may call the Visas Avenue qualified and most experienced Canadian immigration expert on Toll-Free Number- 78-18-000-777. Alternatively, e-mail your queries to Visas Avenue e-mail id- info@visasavenue.com. 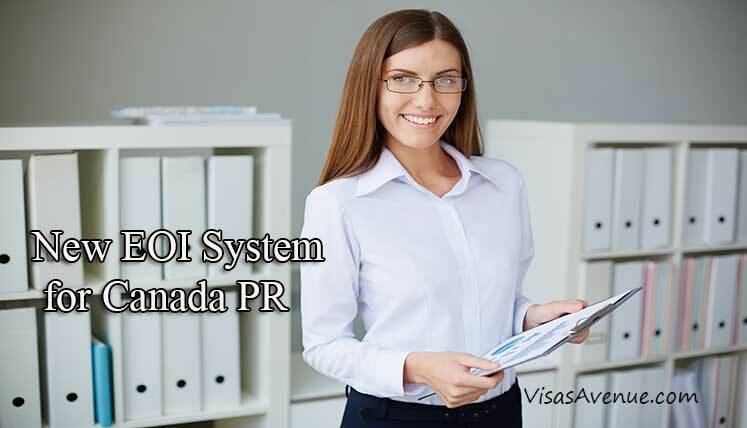 Canada PR from UAE- How to Choose Best Immigration Program to Apply ?